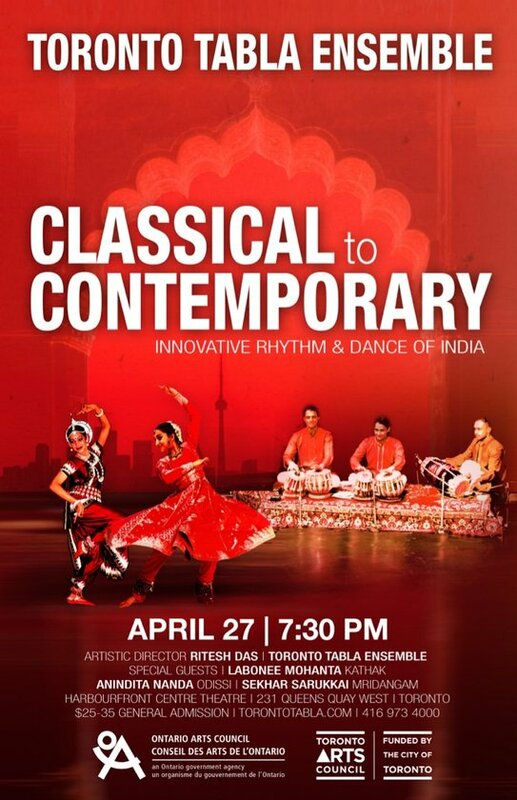 Toronto Tabla Ensemble (TTE) presents an exciting new concert featuring classical Indian art forms and their contemporary arrangement in an ensemble format. They will present original compositions by artistic director Ritesh Das both from their recent album Bhumika as well as new works which will feature on upcoming recordings. 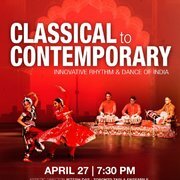 The Ensemble’s innovation is to take a traditionally solo or accompaniment percussion instrument found in North Indian Classical Music and bring it to the centre of the stage through powerful collaboration with world music and dance forms. For this installment, they will be joined by guest Kathak dancer Labonee Mohanta and Odissi dancer Anindita Nanda who will present solos in their respective pure formats before joining the Ensemble with new choreography in an energetic meeting of rhythm, footwork, and movement. California-based mridangam player Sekhar Sarukkai will join TTE for the second time after making his debut at the San Francisco Ethnic Dance Festival in 2018.